8 Contributions of Imam Ja’far al-Sadiq in Science, a thousand years before European Scientists found its ? As a child, Ja’far Al-Sadiq studied under his grandfather, Zayn al-Abidin. After his grandfather’s death, he studied under and accompanied his father, Muhammad al-Baqir, until Muhammad al-Baqir died in 733. Ja’far Al-Sadiq became well versed in Islamic sciences, including Qur’an and Hadith. In addition to his knowledge of Islamic sciences, Ja’far Al-Sadiq was also an adept in natural sciences, mathematics, philosophy, astronomy, anatomy, alchemy and other subjects. Jābir ibn Hayyān – known in Europe as Geber, a great alchemist. Ali al-Uraidhi ibn Ja’far al-Sadiq- his son. Abū Ḥanīfa – founder of Sunnî Ḥanafî school of thought. Malik ibn Anas – founder of the Sunnî Maliki school of thought. 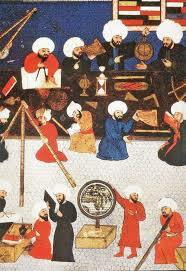 At the age of 11, the Imam refuted the theory that the sun, moon and the planets rotated around the earth. He said that the sun, during its course round the earth, passes through the 12 constellations in one year and remains in each constellation for 30 days, so why does it then disappear from sight during the night. It should remain visible in each constellation for 30 days. Ptolemy theory said that the sun has two movements. One of its movements is that it crosses the sign of the zodiac and goes round the earth in one year and the other movement is that it goes round the earth in one night and one day, as a result of which we see it rise in the east and set in the west. Some people might say that it was only by guesswork that Imam Ja’far as-Sadiq said that the earth rotates on its own axis. Sometimes it happens that guesswork proves to be correct. But the question arises as to why no one else had guessed that for such a long time. This proves that he knew the laws of astro-physics which enabled him to make that discovery. If he had not known those laws, it would have been impossible for him to discover the rotation of the earth on its axis. This discovery could not have been accidental. One must know the cause to know its effect. At the age of 12 he rejected the theory of Four Elements of Aristotle and proved that it is wrong. He remarked: “I wonder how a man like Aristotle could say that in the world there are only four elements – Earth, Water, Fire, and Air. The Earth is not an element. It contains many elements. Each metal, which is in the earth, is an element. For 1,000 years this theory was never refuted, and remained the corner stone of physics. Imam Ja’far as-Sadiq proved that Water, Air, and Fire were also not elements, but a mixture of elements. This he said 1,100 years before the European scientists discovered that air was not an element and had separated its constituents. To derive the fact that Air is not an element, but a mixture of elements, was impossible to conclude in the Imam’s age and time. He said that there are many elements in the air and that all of them are essential for breathing. By that time it was also proved that although oxygen purifies blood, it also burns combustible materials, which come in contact with it. If living beings breath pure oxygen for a long time, their breathing organs would be oxidised. Oxygen does not damage them because it is mixed with other gases. Therefore, they concluded that the presence of other gases which are in very minute quantities in the air is also essential for breathing. Moreover, oxygen being the heaviest of all other gases in the air would have settled at the bottom and covered the surface of the earth up to a certain depth. As a result, breathing organs of all animals would have been burnt and animal life would have become extinct. Moreover it would have cut off the supply of carbon dioxide, which plants need so badly, and made it impossible for them to grow on the surface of the earth. Presence of other gases in the air does not let oxygen settle down to the bottom and destroy animal and plant life. At last, after more than 1000 years, the theory of Ja’far as-Sadiq that presence of all gases in the air is essential for breathing was proved to be correct. He was the first person to discover that oxygen produces acidity. Time did not allow him to make known to the world further such revelations, but he was indeed proved the pioneer and leader in the scientific study of oxygen. This phenomenon was considered for centuries as inconceivable and the theory remained quite incomprehensible to the leading astronomers. After the 18th century more and more powerful telescopes were built and astronomers could see beyond our solar system. It was in 1960 that it was observed and confirmed by astronomers that distances between our galaxy and the neighbouring galaxies are increasing. These observations have provided sufficient proof that the universe is in a state of expansion. We do not know when this expansion started. The discovery of black holes has proved his other statement that the universe sometimes contracts was also proved true. Hence the Imam’s theory was proved to be correct. Another great contribution to science of Imam Ja’far as-Sadiq was his Theory of Light. He said that light reflected by different objects comes to us, but only a part of the rays enter our eyes. That is the reason why we do not see distant objects clearly. It was this theory, which helped Lippershey of Flanders to make his first binoculars in 1608. Galileo made use of this binoculars and invented his telescope in 1610. If the Imam had not formulated this theory of light, binoculars and telescopes would not have been invented and made and Galileo could not have confirmed through visual observations the theories of Copernicus and Kelper that all planets including the earth rotate round the sun. The Imam also put forward a very interesting theory about the speed of light. He has said that light is a kind of motion which is very fast. This is in harmony to the modern theory of light. Results of these analysis show that the ratio of the major elements in human bodies is the same throughout the world as Imam Ja’far as-Sadiq had said. 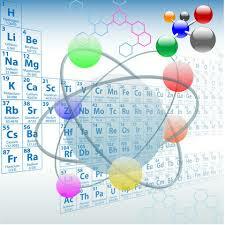 The four elements which are in large quantities in the human body are: Oxygen, Carbon, Hydrogen and Nitrogen. The eight elements which are in small quantities are : Magnesium, Sodium, Potassium, Calcium, Phosphorus, Sulphur, Iron, and Chlorine. The other eight elements which are in very minute quantities are : Molybdenum, Cobalt, Manganese, Copper, Zinc, Fluorine, Silicon and Iodine. Imam Ja’far as-Sadiq has said that patients suffering from certain diseases emit special types of rays. If these rays fall upon a healthy person, they are apt to make him sick. No one before the Imam, had ever said that diseases were also transferred from one person to the other by means of rays, emitted from patients suffering from certain diseases. This idea was rather ridiculed by the learned people till it was proved to be correct by scientific studies. One of the unique theories of Imam Ja’far as-Sadiq is that everything except Allah has its opposites, but this does not result in a conflict, otherwise the whole universe would be destroyed. This is the theory of matter and anti-matter. The difference between matter and anti-matter is that in matter the electrons are negatively charged and protons are positively charged. But in anti-matter, the electrons are positively charged and protons are negatively charged. Scientists have concluded that if one kilogram of matter collides with one kilogram of anti-matter, so much energy will be released that the whole world will be destroyed. Professor Alfven is of the opinion that there is no other source in the universe, which can generate so much energy as quasars, except explosion of matter with anti-matter. Imam Ja’far as-Sadiq has said that among the clusters of stars which we see at night, some are so bright that our sun, in comparison, is quite insignificant. About twelve and a half centuries later, it was proved that what he said was quite correct. It has been discovered that there are stars in the universe, which are billions of times brighter than the sun. They are called quasars. The light of quasars is about quadrillion times (ten thousand billion times) the light of our sun. 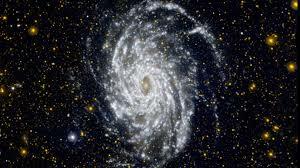 Some of them are at a distance of about 9000 million light years from the earth. The first such quasar was discovered in 1927. Another important theory was that there are many worlds other than our own, that we cannot even count them. Their number is only in the knowledge of Allah (swt). Just as we have living beings on this planet, there are living beings on many other planets in the universe where conditions are suitable. Pos ini dipublikasikan di genealogy, history, islam, kanzunQALAM, sejarah dan tag muslim, science, theory. Tandai permalink.